What's oppo grilling by flashlight? 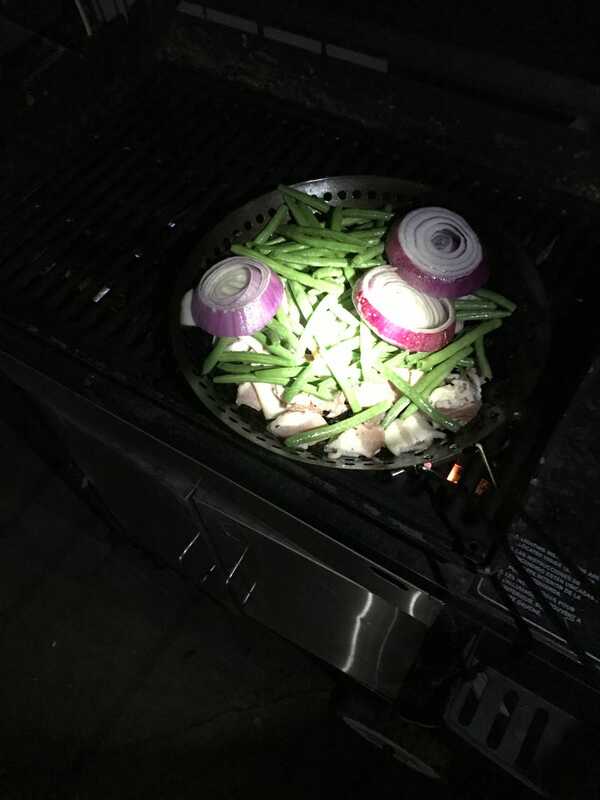 Bacon, green beans, red onion — followed by tri tip with chimichurri sauce. Car news: I tried to buy a BMW 3 series for my track day on the 25th but someone beat me out. I have two weeks starting right now or the M5 sees another track day, where I destroy everyone and everything, starting with my wallet.